Bethesda had, I’m assuming, a near final build of their new Wolfenstein game, Wolfenstein: The New Order to preview at PAX East 2014. Normally when you are allowed access to any game before release, they make a separate build of the game for the event. That didn’t seem to be the case with the Playstation 4 version I played as I never reached an artificial ending. With that in mind, the build I previewed for about 45 minutes was extremely polished and seemed fit to print. Having said that, I’m pleased to report that Wolfenstein: The New Order feels like a modern Wolfenstein game. All of the telltale earmarks that symbolize the series are in place. Hidden passages in elaborate medieval architecture such as pushing a longsword in front of display armor to reveal a secret entrance through a fireplace. Stealth in a Wolfenstein game? Sounds good to me! The neat part is how they handle the secret entrances. Originally in Wolfenstein, secret passages ended there. They were rooms filled with treasure and that’s about it. In Wolfenstein: The New Order, secret entrances effectively switched the game mode from shooter to stealth, which in my opinion is quite notable. 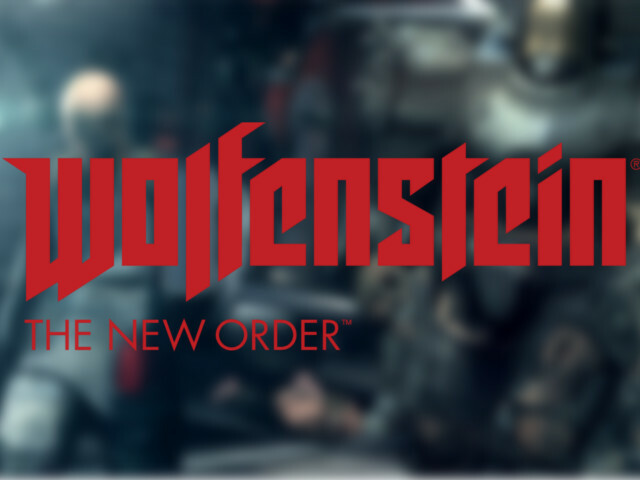 Additional Wolfenstein aspects make their appearances as well. Sometimes they appear as homages to the original like the difficulty screen with ‘Hurt me plenty’ and ‘Bring it on!’. 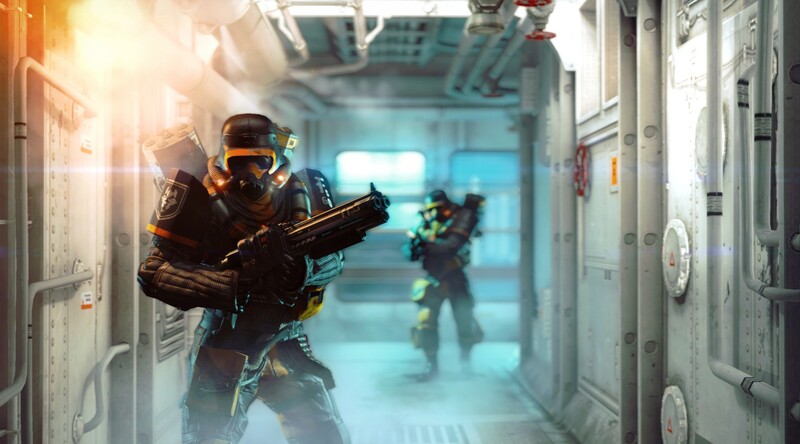 Sometimes they appear as nods with modern twists like the heathpacks which serve as bonus health that can get your health above 100 HP, otherwise like modern shooters today Wolfenstein: The New Order features health regen. So while Wolfenstein: TNO feels like a Wolfenstein game, I have a feeling that the age of the person playing will determine how they will play the game. What I mean by that is when I played, I was constantly checking for secret areas, I don’t think the newer generation of gamers will play as I do and as such will experience a completely different flavor of W:TNO altogether. While that isn’t bad and is incredibly inclusive from a design standpoint, I think we may see vastly different opinions of the game from different audiences. In essence, if you remove the Wolfenstein features what you’d be left with is a game that feels and plays like a very well polished CoD clone. Story-wise, W:TNO gives protagonist B.J. Blazkowicz a bigger voice via narrated monologues presented as internal thoughts. There are some gruesome scenes (NO SPOILERS) where this is used more effectively and helped me understand my delicate connection with B.J. as a player. In closing, I walked away impressed from my preview with Wolfenstein: The New Order. It is without a doubt a modern shooter with all of the important Wolfenstein trappings that genuinely conveys itself as a proper addition to the series. With any luck, we’ll manage to secure a review copy of the PC version and give the Id Tech 5 engine a run for it’s money.